“Be a Tooth Fairy Hero” Initiative. so this was a great opportunity! 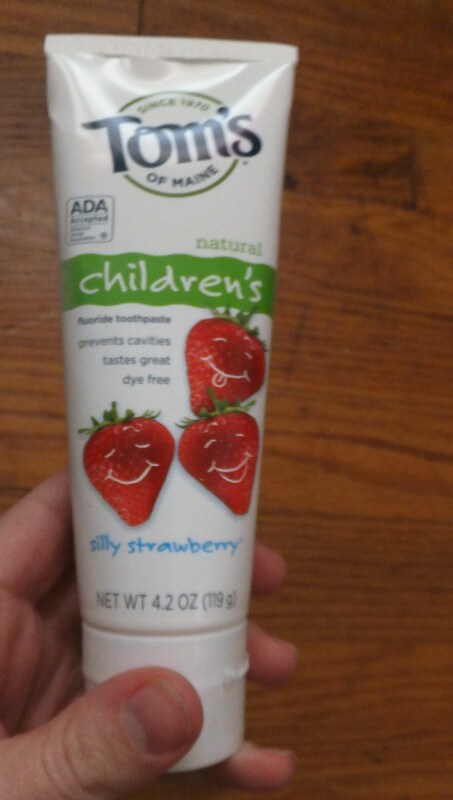 My 3 year old really loved the taste of the Silly Strawberry Fluoride Toothpaste! If it doesn’t taste good, they are not going to want to brush their teeth, so I am happy to say that she is excited to brush her teeth everyday. 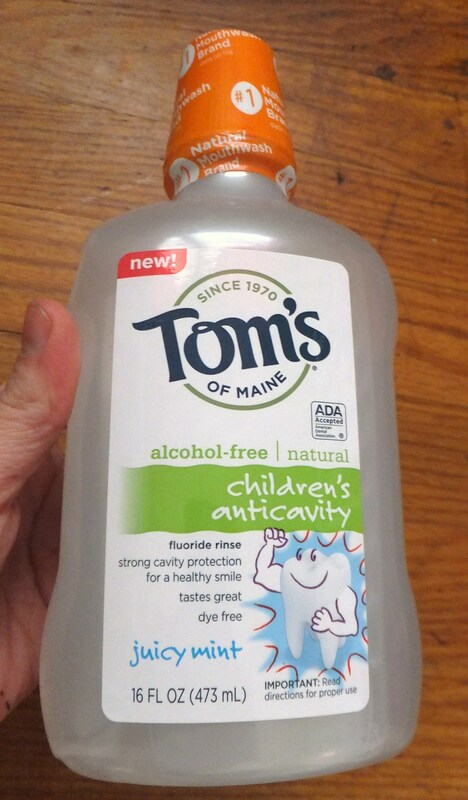 The Juicy Mint Anticavity Fluoride Rinse is for older children and up so I have been trying it out on myself. It has been a nice change using mouth rinse that does not have a strong minty flavor. This will definitely be a great product to have in our house once my little ones are older. How cute is this Tooth Fairy Pillow!?! It even has a little pin that your child can wear on the day that they lost their tooth. 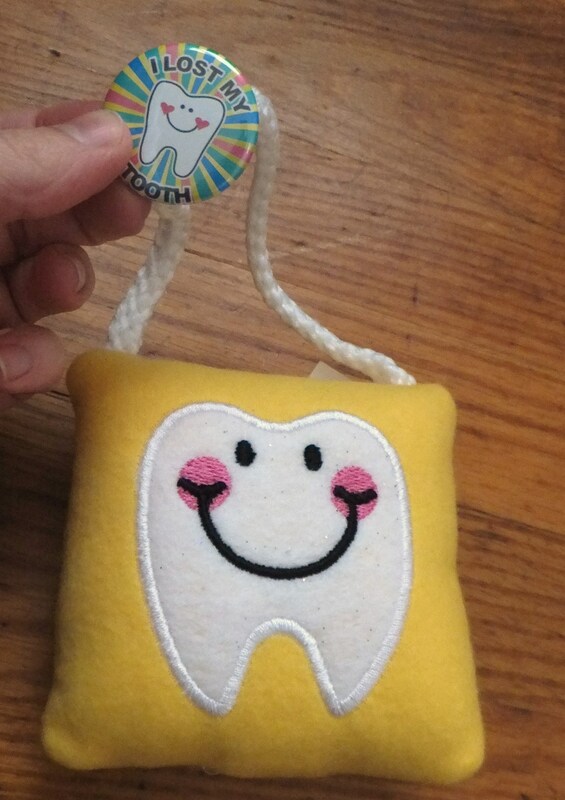 Kids are always so excited when they lose their teeth and this cute pillow can only add to that excitement! Remember the first time you lost a tooth and the excitement surrounding the Tooth Fairy’s visit to your home? 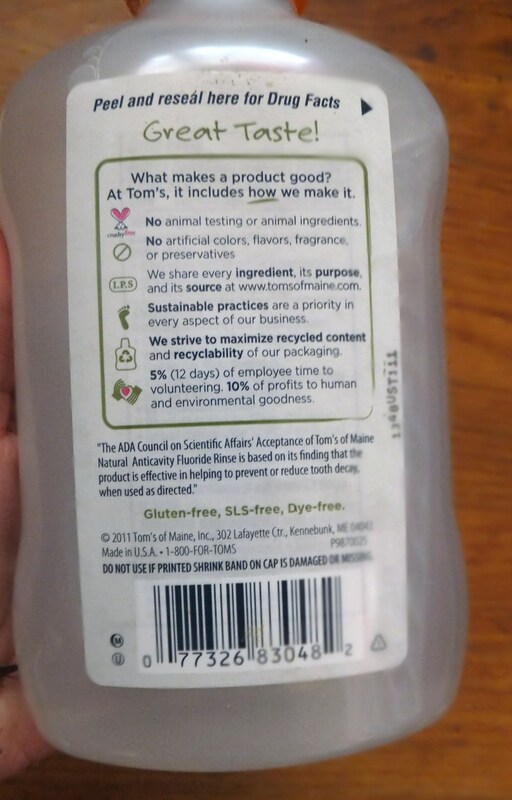 Tom’s of Maine is inviting parents to share their child’s artistic interpretation of the Tooth Fairy for a chance to be a hero at their school and help smiles in need! 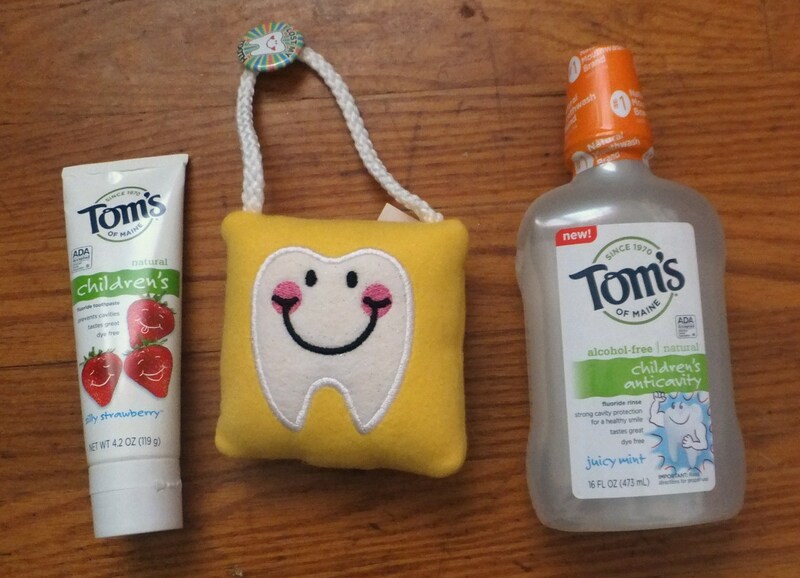 Enter the “Be a Tooth Fairy Hero” program at TomsOfMaine.com/ToothFairy beginning through March 15 for a chance to win Tom’s toothpaste for your child’s entire school and Tom’s will make a $10,000 donation on your behalf to a dental clinic in need in your state. So, go enter the Be a Tooth Fairy Hero Initiative! I’m not going to lie, but we have yet to try any of the products. I’ve been slowly changing our personal and cleaning products to healthier/natural products over the last couple of years and have been wanting to try the toothpaste and this would def be a good start for us! I love there toothpaste for adults. 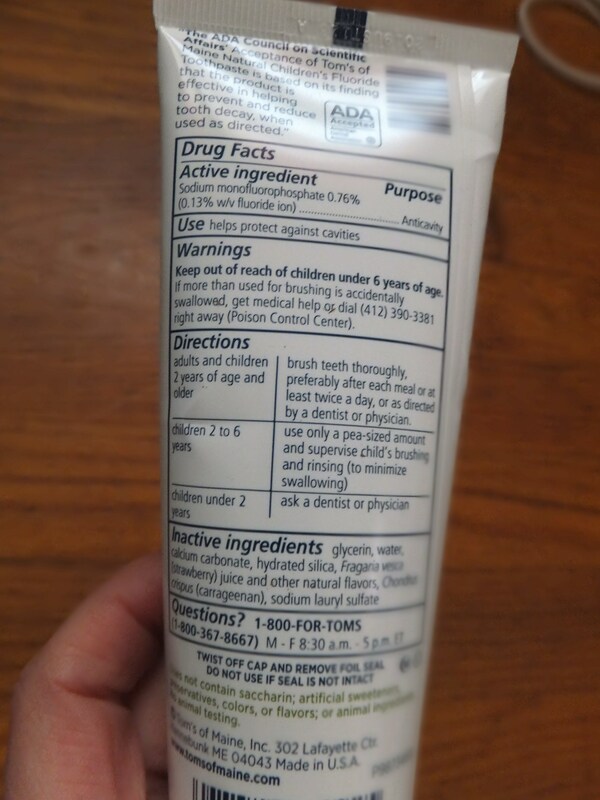 I just bought there kids toothpaste yesterday, so we will see if my little one likes it… Hope so! I use their lavender deodorant. I was looking at there deodorant yesterday. I’m going to try it when my current deodorant runs out. You like it? It works good? I’ve only tried the deodorant but it seemed to work well. I’d like to try more! I’ve only ever used their toothpaste and I liked it. I might give the deodorant a try.